If so, then you know these debilitating attacks are far more than mere headaches. In addition to severe, throbbing pain, migraines often also involve visual disturbances, nausea, vomiting, dizziness, extreme sensitivity to sound, light, touch and smell, and tingling or numbness in the extremities or face. As many as 25% of migraine sufferers experience a visual phenomenon called an aura. Attacks typically last between 4 and 72 hours and in 15-20% of cases, the head pain is preceded by the other neurological symptoms. Because migraines are increasingly recognized as neurological in origin, it’s possible ketogenic diets may have a therapeutic effect for people afflicted with these attacks. Ketogenic diets exert their effects via several mechanisms that induce multiple biochemical changes in the body and brain that improve neurological function. Some of the mechanisms that are beneficial for various neurological disorders may also make them effective for migraines. Clinical trial data studying the efficacy of keto for migraines is limited, but anecdotes and personal accounts abound on the low carb and keto interwebs. Some people who start LCHF or ketogenic diets for fat loss or other reasons are pleasantly surprised to find an unexpected “side effect” of keto is reduction in severity and frequency of migraines, or in some cases, total remission. Nice! As I mentioned in a post not long ago, I’ve joined the writing team at Martina Slajerova’s KetoDiet site. I wrote a post there on keto for migraines, so if you’d like to get the details on why and how keto might be beneficial for migraine sufferers, head on over and check it out: Can the Ketogenic Diet Help with Migraines? It’s fully referenced in case you’d like to look at any of the relevant studies and dig into the mechanisms at work. Please feel free to send the link to friends and family who suffer from migraines and have not experienced relief with conventional medications, or who have not been able to identify dietary or environmental triggers for their migraines. They might consider giving keto a try. If it doesn’t work, it doesn’t work, but it’s definitely worth trialing for a few months. They have nothing to lose except their morning bagel or muffin—and possibly their migraines. 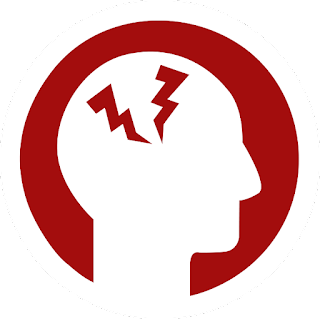 The link again: Can the Ketogenic Diet Help with Migraines? I continue to be amazed at the range of health problems that can be helped or completely reversed by just getting rid of the grains/carbs. Again, this is big. I'm just flabbergasted at the extent of damage that high insulin can wreak. And to think that most of us were raised on junk carbs! I used to get migraines. Only occasionally and comparatively mild but always with the visual and sometimes auditory accompaniment. On the other hand I NEVER had "ordinary" headaches, so I considered the trade-off to be acceptable. Yes! But I can’t say definitively it’s keto, for me it was eliminating wheat. I suffered with classic migraine for decades, 2-3 per month. Never could identify the trigger. I am not celiac, but if I start eating a little wheat here and there, I am sure to get a migraine. I will say this, they are not as debilitating as when I ate SAD. Keto and eliminating wheat go hand-in-glove, I’m just not sure which is the hand and which is the glove. Yes! The ketogenic diet can be used as a method for improving migraine headaches. Some foods can avoid preventing migraines like aged cheeses, caffeine, aspartame, dill pickles, okra, beets, peppers. Besides Ketogenic diet, I think some natural remedies like drinking enough water, living in a quiet and dark place, drinking ginger tea, putting an ice bag on the forehead, practicing Yoga and meditation also cure migraines.